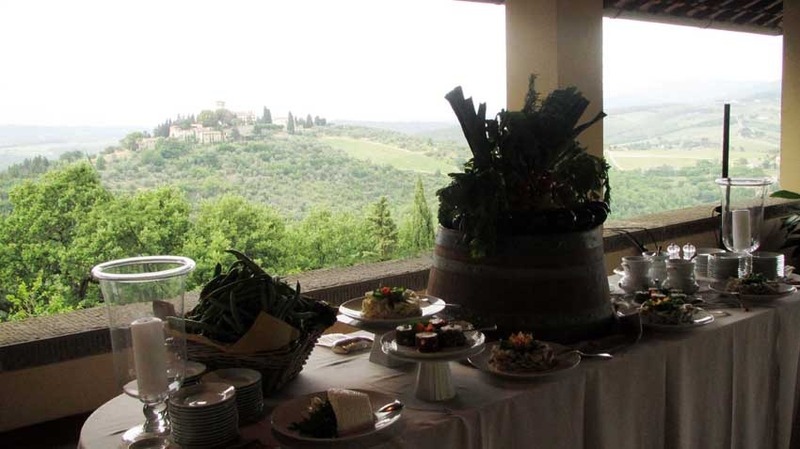 In the heart of Chianti, at short distance from Greve in Chianti. The castle is located on the top of a hill overlooking a breathtaking landscape over the Val di Greve, likely originated from a Roman settlement. It belonged to the family of the great navigator Giovanni da Verrazzano, when it was constructed it was smaller and wrapped around a single central tower of the Romanesque building. 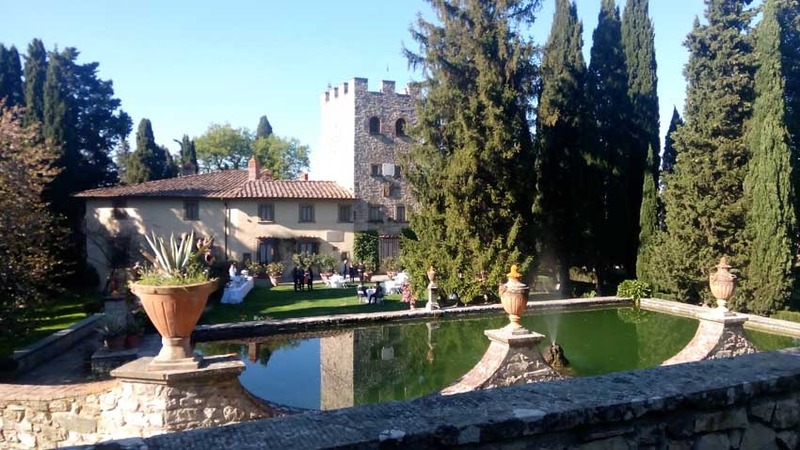 Since then the castle was transformed into a farm and manor house and nowadays it has recovered the look of a spectacular turreted building, adorned by an elegant and beautiful Italian garden. The Castle can be the setting of a beautiful civil or symbolic ceremony. The beautiful Castle can be rented daily in every season. 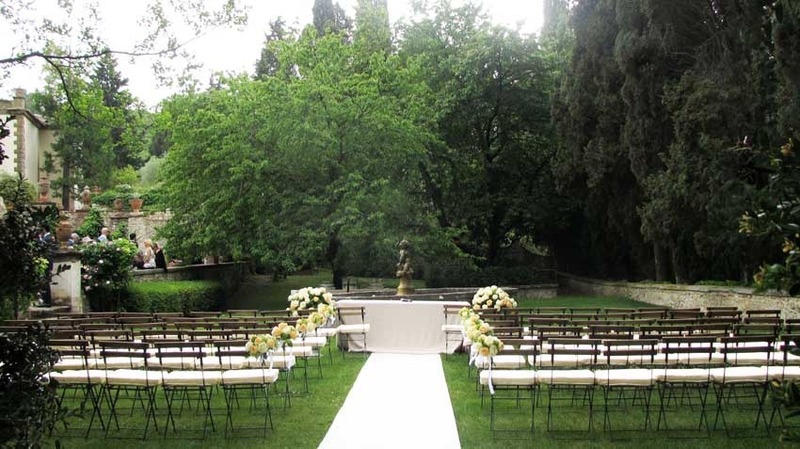 In case of good weather the ceremony in the garden with the beautiful fountain can be followed by a cocktail in main garden or on the panoramic terrace and the dinner that can be served on the panoramic terrace (up to 120 guests seating at round tables) or in the garden (up to 180 guests). 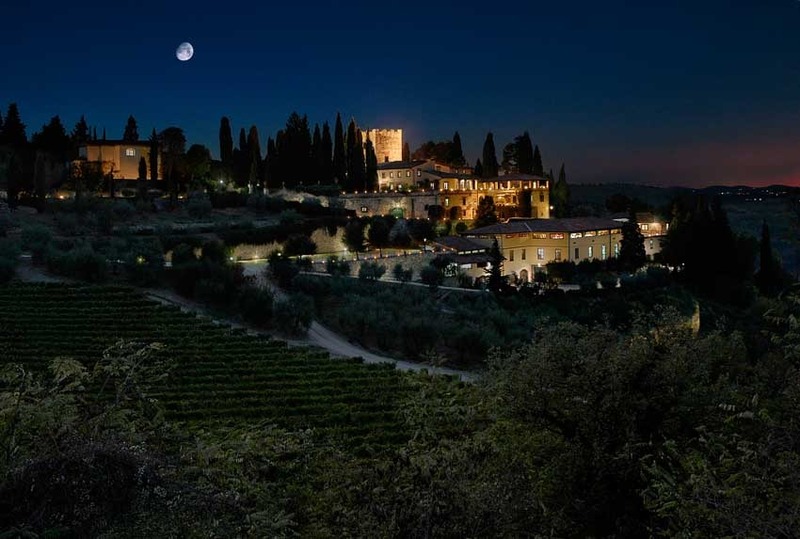 After dinner can follow in the main garden or on the panoramic terrace. In case of uncertain weather the areas used are the covered court for the ceremony, the 3 inner halls for the cocktail and the after dinner and the panoramic terrace for dinner. 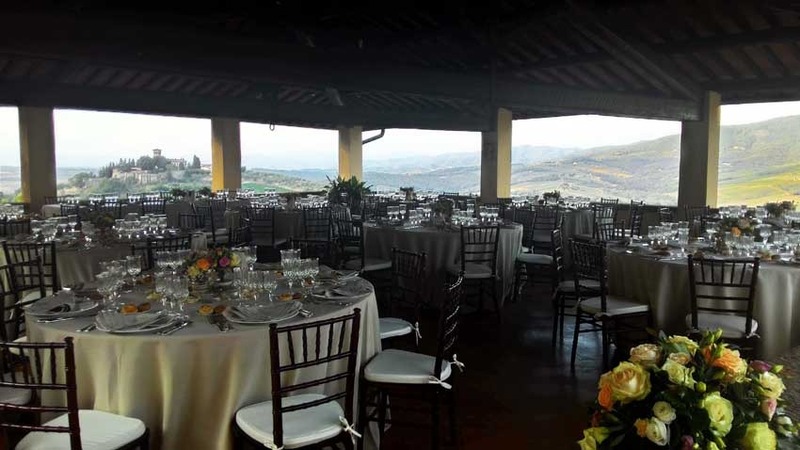 Wedding banquets to be arranged through a reputable and trusted local catering company. Any kind of music entertainment is allowed until 1.30 am. It is possible to stay overnight on the Verrazzano estate in the recently restored farmhouse, the Foresteria Casanova, which is approx 1 km from the Castle and can host up to 27 people.